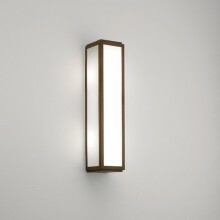 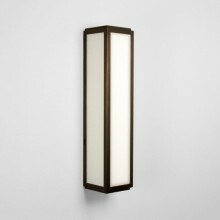 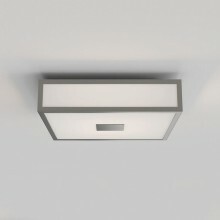 Stunning white glass bathroom wall light which would add a touch of elegance to any contemporary bathroom. 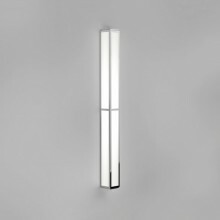 This sophisticated tall slim rectangular light has a polished chrome finish complemented by opal glass panels that gently diffuse the light around your bathroom to create an oasis of calm. 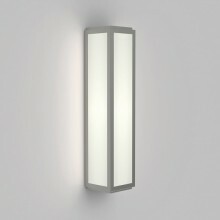 With an IP44 rating this product is suitable for bathroom zones 2 and 3. 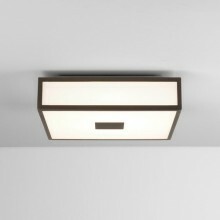 However, with its attractive design it would not look out of place in almost any other room in your home or installed externally.